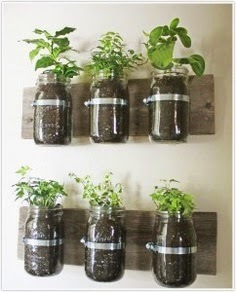 Speaking of herb garden, I got this fabulous idea of having an herb garden without consuming a large space in our yard. It's a practical idea, isn't it? It serves the purpose and apart from having an herb garden in an instant, this could also be a nice attraction in our garden as the plant holder itself will serve as a decorative piece in our yard. I might consider doing this design for our house.